If we are asked to list some of the things that learners should do to improve their learning, I think we would not miss to say that they should do homework regularly. Though we teachers have our own assumptions and attitudes about different things, we have positive attitude about giving homework in one form or the other. We are aware of the advantages of homework. We know that it promotes the practice of independent learning; helps students to reinforce basic skills learnt during school days; allows them for the use of resources and materials not available in the schools; provides parents with information about the progress of their children; provides appropriate opportunities for long term research; provides opportunities for teachers to differentiate work for children. These benefits can be categorized into immediate benefits (better retention and understanding of information, development of critical thinking and concept formation, and improvement in processing information) and long term benefits (encouragement to learning, improved attitude towards schools, and better study habits and skills). Furthermore, homework is supposed to have long term non academic benefits such as greater self direction and self discipline which we want to inculcate in our learners. Giving homework is not sufficient. Equally important is the checking of the homework. It is necessary to check homework to reassure learners that what they have understood is right; to provide repeated exposure to aid acquisition; to provide them with a record of correct language for future reference; to encourage thinking about why an answer is correct or how they have reached a particular answer; to provide support for different levels of learners; to provide them with a sense of satisfaction from discussing and sharing something they have spent doing; and to allow learners to play an active role throughout the learning process by encouraging learner independence. What impact does it have if you give homework but do not check it? Even a single event or incident may bring a great change in our life. The same thing applies to teachers as well. I want to relate this to one of the incidents that changed my attitude towards homework checking. For this reason I want to call it a success story. This has been a great lesson for me who used to sometimes not check homework because of lack of time or other thing. One day I was teaching in my bachelor first year class. The learners in that class came from very diverse backgrounds. Especially they were from the government schools in rural areas so we can mostly imagine their level of English. Some of them were really good. I encouraged them to take homework every day and do whatever they can at home. One day I gave them a homework that was solving exercises given in the book and said that if any one of them did not do homework I would proceed without doing the lesson for it was also their duty to do some reading themselves. Next day I checked the homework and found some of them not doing the homework. I told them to do the same task again by convincing them that it did not matter if their answers were wrong. What mattered was their attempt. They seemed to have been convinced. The next day I had to attend a meeting with the head of the department about terminal exam so I went to the class a bit late and started the lesson. That was a reading lesson. I did not care about the work that I had given to the learners. While I was about to leave the class one of the learners stood up and said, “Madam I stayed up to 11 O, clock to do the homework. There was load shedding (power cut) so I did my homework with the help of candle. I had to prepare for the class test of other subject but I felt so strongly about the work that I did it even putting the task aside. But unfortunately you did not check the homework today. I would not do homework next time”. He said this with tears in his eyes. I felt so guilty that I put my things on the table again and put my hand on his head. I said “Sorry Rabindra, I just thought that I would check your homework next time. Take out your homework. I would check it now”. He took his homework out of his bag and I checked that. He had done it very well. However, he was not happy because he realized that I just did this because he had said so. I left the class with a feeling of guilty. In spite of giving me a sense of guilty, this incident had really positive impact on my attitude towards homework. So, I want to recall it as one of the success stories in my teaching experience. It taught me the lesson that checking homework is very important. From that day onward I have felt so strongly about the work that give that I never miss to ask whether the learners have done the work that I gave them and give some positive comments on that. It does not take me much time. Sometimes, I just have a look on their work going from front to back. If I think some learners have done it really well I read it for the whole class and if most of them have got it wrong I provide possible answers on the board. I have found that going through learners work very quickly if we do not have time to go thoroughly can have surprisingly good impact on learners. It gives them a sense of achievement. That is, I think, greater learning experience than anything else. Since the success is the accumulation of small steps we should not forget that “small things matter”. Checking homework may just be a small thing in leading learners towards a greater success. 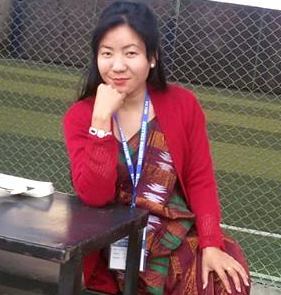 Ms. Madhu Neupane (Bastola), Lecturer, has been teaching at the Central Department of English Education, Tribhuvan University, for 6 years. She completed Master’s Degree in English Education in 2003 and Master’s Degree in English Literature in 2008. She has published some articles and books and presented papers in different conferences. She has experience of teaching English from Primary Level to Master’s Degree. She has conducted some research in the area of ELT. At present she is an executive member as well as life member of NELTA. Her interests include teaching and conducting research in ELT. This article was helpful to remind me some of the incidents i faced while teaching. Generally, in lower level, teachers must provide homework as well as check it regularly and i do it everyday. This article reminds me my school days as none of my friends were interested to do the homework of English because it was never checked by our teachers. However, i support on Madhu mam’s view that we should assign the task to our learners but mustn’t forget to check it. if the time is less we can just ask them whether they have done it or not which will make them aware to do it as well as they will never feel ignored by the teachers. Ohh yes.. like the earlier comments, Madhu Mam’s article leads to the reminiscence of my school days. When I used to be a school boy studying at grade 8, one of my teachers used to give regular homework. After he had assigned us some works to be done, the next day, he checked the students whether they have done the works assigned before he started to move ahead. Unless some students failed to show the homework, they were beaten black and blue. One day, one of my friends who had not done the homework urinated due to his corporal punishment. To escape themselves from the corporal punishment, some of the students were so clever that they did not do the homework properly but instead, they wrote a to z from the lessons. Besides, some of them copied the answers from the copies of their classmates. As for the teacher, he never checked whether the answers were correct but what he checked was that if the students have filled the page of the assignment. However, he used to relay the answers orally. Now I can conclude my views supporting the fact that the homework should be given to the students. Giving the homework to the students is not a big matter but they must be checked individually or systematically. Recently , I joined in the teaching profession for lower secondary level of boarding school.In initial days I felt difficult to adjust with the environment of the class.Because coming from governmental school teacher has some technical problem to teach boarding school.In every moment i think about the teaching profession. After teaching in the class,then i remember distinguished teacher.Being successful teacher is not easy task.Every steps have risk and challenge.